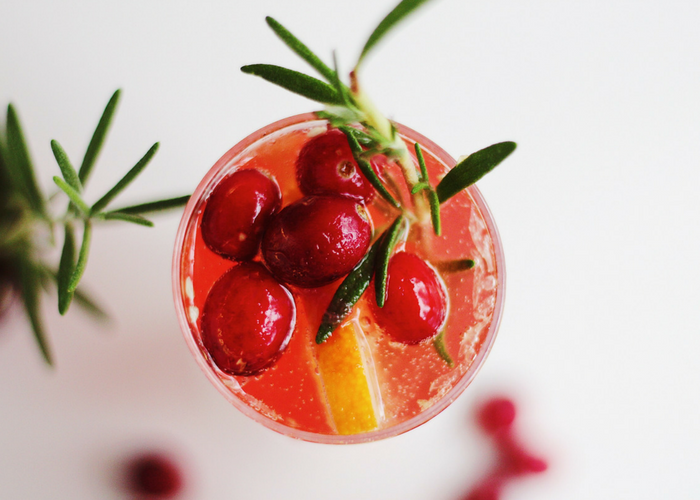 Cranberry Rosemary Champagne Cocktails are a festive, fizzy, not-too-sweet cocktail that’s perfect for the holidays. 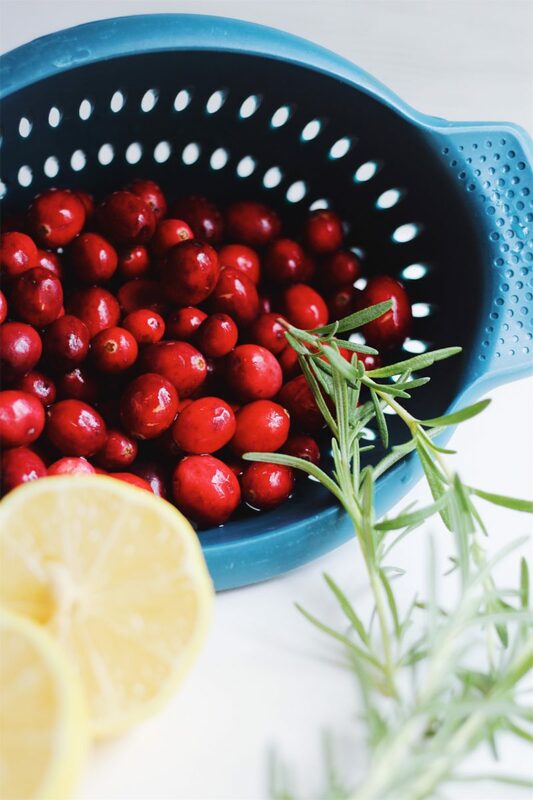 The ombre color, green rosemary sprigs, and ruby-red cranberries make them especially pretty to serve, too. I used to throw 1920’s parties, and they were pretty fabulous. I would build champagne coupe glasses into a tower, and there would be free-flowing bubbly in addition to champagne punch. Most of my nights revolve around sweatpants and Netflix, but I do love being extra fancy once in a blue moon. I have a passionate, dramatic flair that’s always been there. I like to experience the finer things in life, Great Gatsby style, once in a while. And champagne is definitely one of those things. Take me to a French brasserie or a champagne bar, and I am the happiest girl in the world. But I like to carry that feeling of ‘specialness’ with me, even when there’s nothing to particularly celebrate. So, yes, you’ll often find me purchasing a fancy bottle of bubbly for a Tuesday night. No celebration, cause, reason, special occasion necessary. I highly suggest you guys try it. Don’t “save things” for the weekend or for a special occasion. Celebrate every day, even in little ways. Basically what I’m saying is, Treat. Yo. Self. 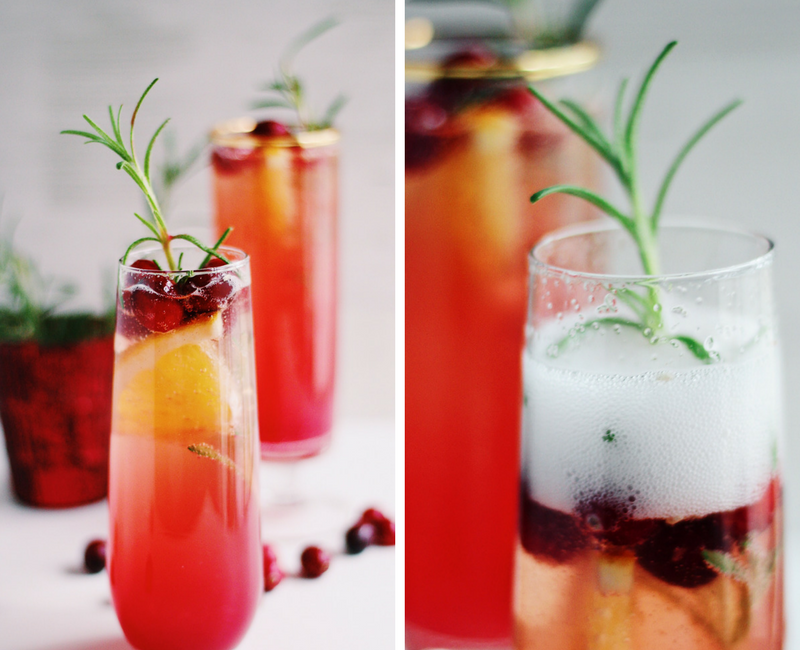 Which is 100% what I did with these Cranberry Rosemary Champagne Cocktails. 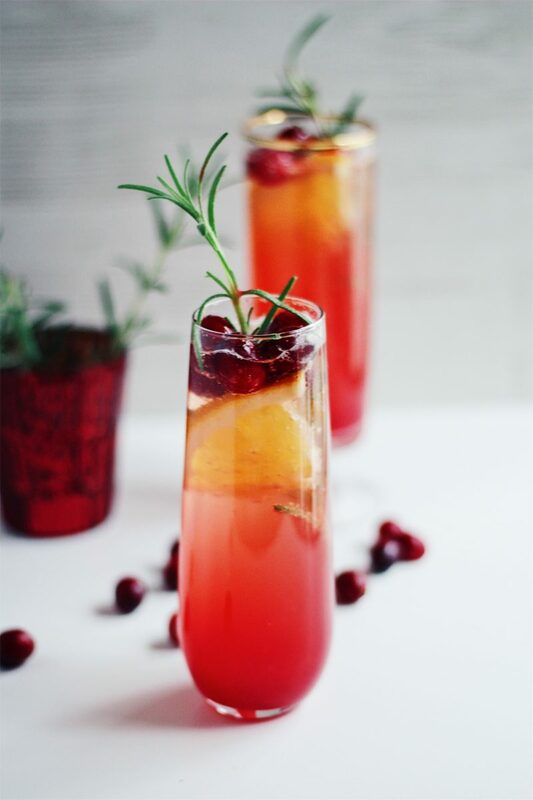 Thanksgiving obviously inspired these spiced, citrus-laced Cranberry Rosemary Champagne Cocktails. 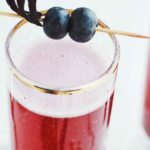 I make a version of a cranberry and champagne cocktail every holiday, but I try to change it up a bit each year. This year, I’ll be back home in NJ for Thanksgiving so I’m going to be making a punch bowl-sized Cranberry French 75. But hey, you can never have too many champagne cocktails, eh? So I decided to play around a bit. 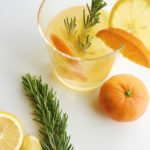 I still have a ton of rosemary left from my garden’s last harvest, and I love adding fresh herbs to cocktails. Rosemary also looks so pretty as a garnish, especially paired with cranberries this time of the year. 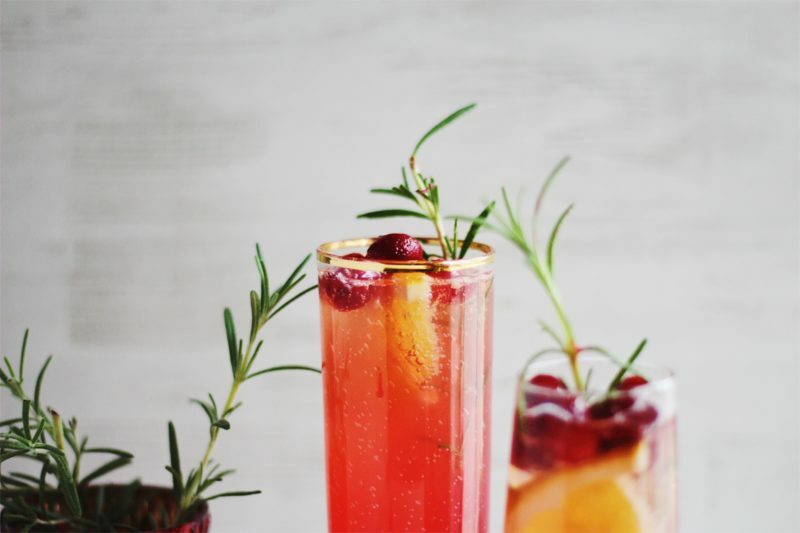 These cocktails begin with a rosemary-infused cranberry syrup, that’s enhanced with fresh citrus and cinnamon. 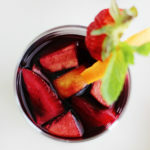 It’s a deep, ruby hue, and when added to this cocktail, it creates a lovely ombre finish. 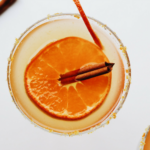 I wholeheartedly hope that these cocktails find a place into your next celebration. 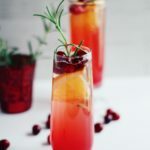 I hope that you make and enjoy these fizzy, festive Cranberry Rosemary Champagne Cocktails! 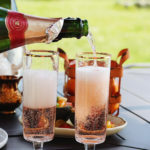 What are your favorite ways to drink champagne? Let us know in the comments below. 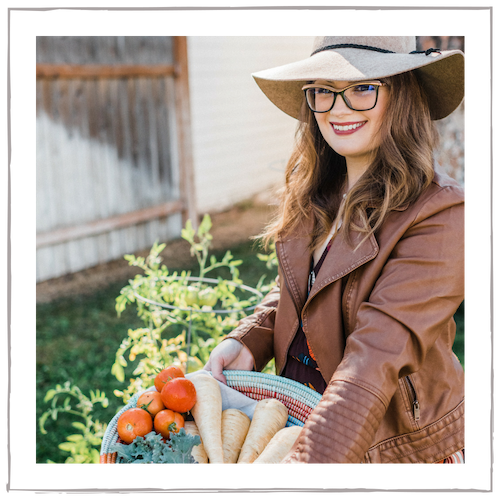 This post contains affiliate links, but are always products I love, highly recommend, & use in my own kitchen. Make the syrup. Combine the ingredients in a small saucepan and bring to a simmer. Simmer gently until the sugar is dissolved and the cranberries have popped and turned the syrup red. Allow the syrup to cool and sit at room temperature for 30 minutes to infuse. Then strain the syrup through a cheesecloth or fine mesh strainer, pressing down on the cranberries to get all of their juices. Allow the syrup to chill in the fridge for at least 2 hours. Make the cocktails. 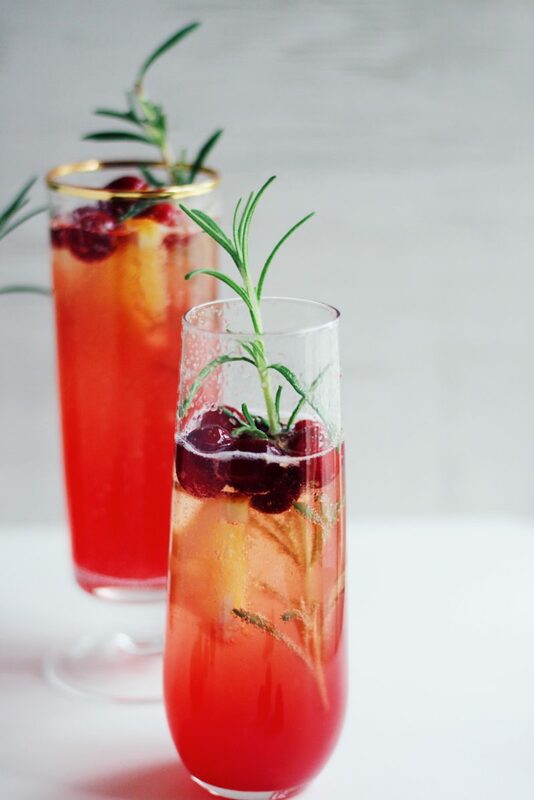 Fill champagne flutes with 3 tablespoons of the Rosemary Cranberry Syrup. Layer with 1 tablespoon of fresh orange juice on top of that. Pour the 6 ounces of bubbly in each glass. 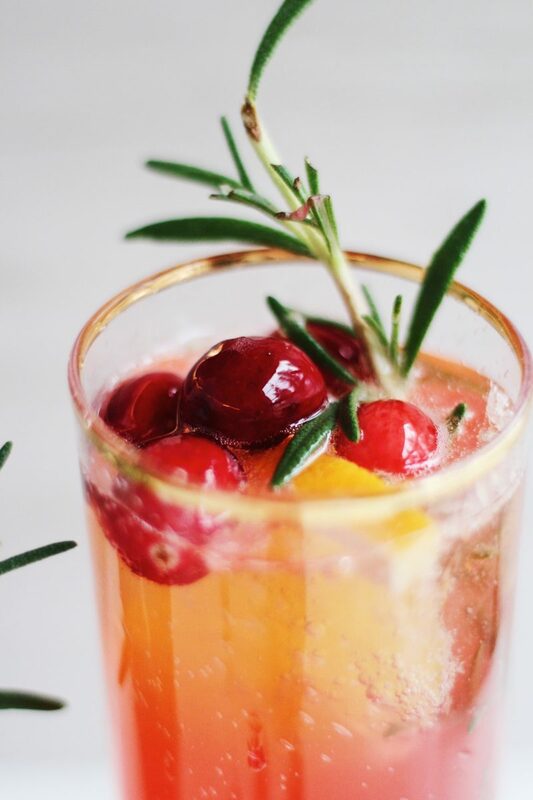 Garnish with frozen cranberries, a sprig of fresh rosemary, and an orange wedge. Enjoy! I used a 10-ounce bag of fresh cranberries (commonly found at most grocery stores in this quantity), popping 2 ounces in the freezer for garnish and using the 8 ounces for the syrup. The syrup can be made a week ahead of time and kept in the fridge. I love the cinnamon element in these. And I’m a big fan of Rosemary so I like to put extra haha. It looks so amazing and perfect for my weekend party. 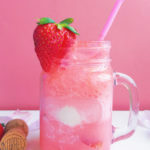 This looks so refreshing and festive! I love it! Cheers to the holidays! This is so beautiful — and so perfect for the holidays! 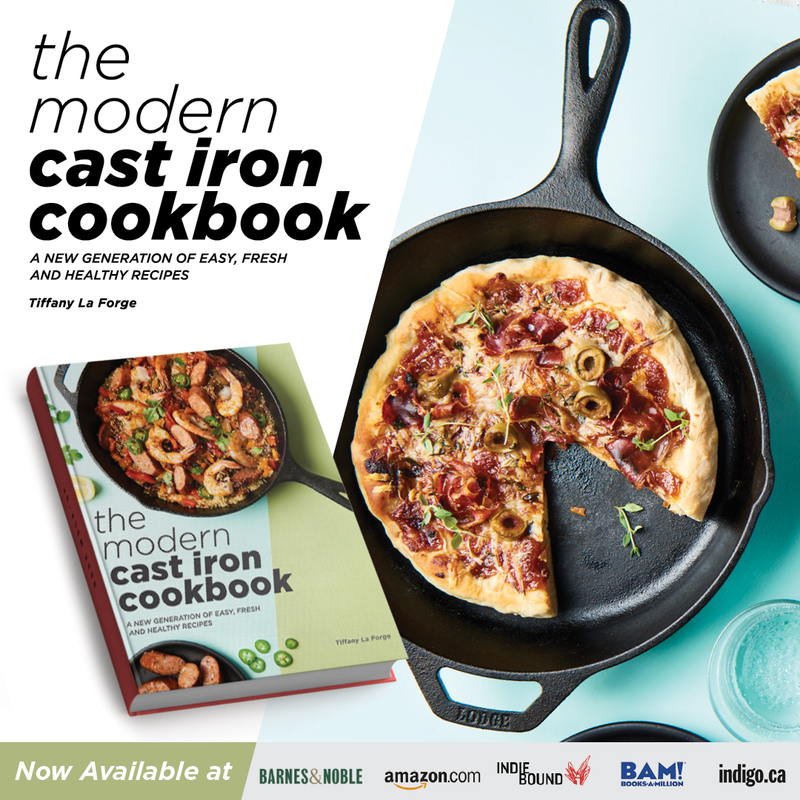 This looks pretty, and would be great for the holiday weekend brunches. Perfect for all kinds of parties. Wow this looks so pretty and festive! I am going to try to make a non-alcoholic version.